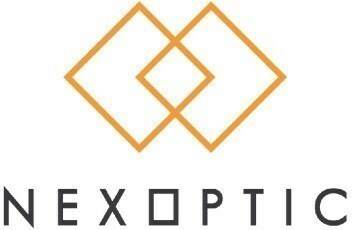 NexOptic Technology Corp. ("NexOptic" or the "Company") (TSX VENTURE: NXO) (OTCQX: NXOPF) (FRANKFURT: E3O1) today announced that Digital Trends named DoubleTake, NexOptic's "Binoculars Reimagined," the "Top Tech of CES 2019" for photography. DoubleTake is one of just 17 stand-out products to be included in the influential list chosen annually by Digital Trends, a leading online technology publication that provides comprehensive product reviews and breaking news to approximately 30 million monthly unique readers. "Our teams worked very hard to create a product that not only redefines an entire industry, but that offers even more universal appeal than the industry itself," said Darcy Daugela, Chairman of NexOptic. "We are thrilled that Digital Trends included our DoubleTake product as part of its highly coveted list of CES award winners and we look forward to announcing further details regarding DoubleTake's official launch as development concludes." DoubleTake is NexOptic's groundbreaking reimagining of binoculars. Powered by a dual Blade Optics™ lens system, the device features an equivalent focal length of greater than 500mm, so users can capture spectacular images and lifelike 4K video. DoubleTake features a quad-core Ambarella H2 processor, enabling state-of-the-art digital features such as image stabilization and real-time, high resolution panning, all viewable through a 5-inch high-definition LCD display. Each year at the Consumer Electronics Show (CES), Digital Trends selects a small number of the most innovative and anticipated tech products across categories such as photography, audio, computing, and wearables. Past winners of Digital Trends' "Best of CES Awards" include Panasonic, Sony, and Samsung. This year's award list can be viewed here: https://www.digitaltrends.com/awards/best-of-ces-2019/. CES has served as the proving ground for innovators and breakthrough technologies for 50 years, providing a global stage for companies to introduce their next-generation products to the marketplace. In 2019, CES attracted more than 180,000 attendees from 150 countries to Las Vegas in the pursuit of discovering the world's newest technology products.